I am about to embark on reading the Barchester Murders by G M Best which is following hot on the heels of having just read The Monogram Murders by Sophie Hannah. Each book takes characters from an existing series of another author (and in Best’s case their author as well) and uses them in a new book. This kind of thing has gone on no doubt since almost the first novel’s publication but seems to be becoming more prevalent now. People like reading about favourite characters and when they have read everything by a particular author, they cast about for more to feed their craving. Such books cater to this market. My first concern is whether these new works are respectful to their sources. There is no doubt, listening to Sophie Hannah, that she has been a fan of Agatha Christie from childhood. Thus she approaches writing a new novel featuring Poirot with a fan’s perspective. The fact that Agatha Christie expressly stated she did not want others to continue her detective series after her death is an important argument against the writing of a new Poirot story. Should that be the only voice in the debate though? Can fans’ desires for more justify overriding the original author’s wishes? I have strong reservations about the practice. In particular I am concerned about how such a book is marketed. In the case of The Monogram Murders the prominent use of Agatha Christie’s name on the cover and a strap-line “the brand new Hercule Poirot mystery” stretches the limits of what I feel confortable with. Sophie Hannah is a very successful author on her own right and so can deflect arguments that she is riding on the coat-tails of her illuatrious predecessor. Indeed, she can point to increased sales of Agatha Christie novels in the months following the massive publicity and marketing exercise that accompanied the launch of her book. I find this argument persuasive. If a new book stimulates people to go back to the originals then that cannot be a bad thing. 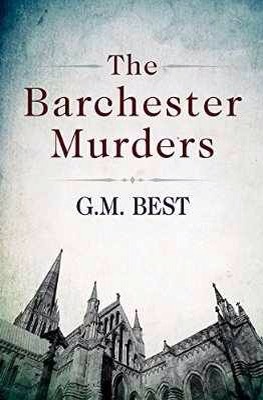 Which brings me to The Barchester Murders. It cannot be said that Best has the same scale of success or number of followers as Sophie Hannah. This leaves the accusation of riding on coat-tails more difficult to deny. Will The Barchester Murders bring new readers to Trollope? In all honesty, I doubt Best can hope to do this. It may however be a respectful supplement to Trollope’s Barchester chronicles. I would certainly argue that could be said of John Wirenius’s sequel to the Palliser series Phineas at Bay. There is also a question in my mind about Best’s decision to cross genres and write a murder mystery novel with Trollope as a detective. Having an author as detective is not new. Nicola Upson has author Josephine Tey as her detective. But Tey was a crime writer and so there is not the risk of shoehorning a person into an unfamiliar genre as we face with Trollope in The Barchester Murders. Having said that, a mash-up of genres can produce something new and exciting. Pride and Prejudice and Zombies credited to Jane Austen and modern writer Seth Grahame-Smith was for me a successful and playfully irreverant adaptation of a classic novel. So it isn’t always essential to be respectful if that means to set the original in aspic. So what it boils down to in the end is: does the new book stand on its own merits. I will let you have my views when I have finished it. It is customary to look backward on the year just gone at this time before looking forward tomorrow to the year to come. In the case of Trollope there is so much to look forward to next year in his Bicentenary Year that there is a risk that 2014 will be overlooked as a mere prelude to the Big Thing. But that would be to overlook what a great year 2014 has been for Trollopians. There has been the publication of Dr Nigel Starck’s superbly researched book,The First Celebrity: Anthony Trollope’s Australasian Odyssey, describing Trollope’s visit to Australia which revealed living descendants of his wife’s maid who remained and married in Down Under. We have also seen the publication of a new novel, continuing the (mis-)adventures of Phineas Finn, Trollope’s Irish-born politician who featured as a central character in Trollope’s political novels. The novel, Phineas at Bay, by John Wirenius, takes up the eponymous hero’s story some years after the events described by Trollope in Phineas Finn and Phineus Redux and features the next generation heavily. Not a new Trollope, but perhaps the next best thing. We have also had tantalising glimpses of another book which will actually make its appearance next year. The Trollope Society’s annual lecture was presented by Professor Steven Armanick who described the decade of work that he has conducted to painstakingly reconstruct the full length version of Trollope’s The Duke’s Children as it would have been prior to the cuts demanded by his publisher to conform to the length expectations of readers and libraries of the time. This restored approximately 65,000 words that had been excised.The full length version issued by the Folio Society will be one of the publishing highlights of the Trollope Bicentenary next year. The Society’s London group also had privileged early sight of a excerpts from a graphic novel, Dispossession, by Simon Grennan that is based on the Trollope novel John Caldigate. This too will be published in 2015 and offers the possibility of reaching a new audience that has hitherto not had access to Trollope. Another continuing series that has been bringing Trollope to new audiences is the radio adaptation of Trollope’s Barchester novels for radio broadcast on BBC Radio 4. As I write, I am listening on the BBC iPlayer to the second instalment of The Small House at Allington, which is being broadcast in three episodes over the Christmas/New Year holiday period. The final part is to be broadcast on Sunday 4th January at 3pm. During the year we have heard the first five books starting with The Warden back in January. The prospect of The Last Chronicle of Barset concluding the series in 2015 promises to be a radio drama highlight of the year. So, as the old year closes, we at the Jupiter, wish everyone a very Happy New Year and look forward to 2015 and the prospect of many events to celebrate Trollope’s 200th birthday. 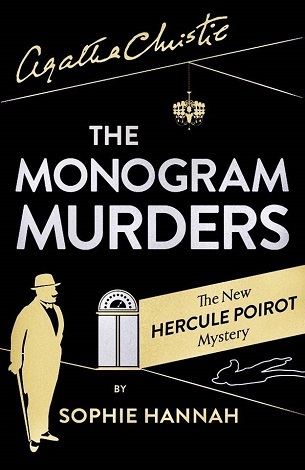 Some 38 years after Agatha Chrisitie’s death, and 39 years after his last appearance in Curtain, Hercules Poirot returns in a new novel, written by Sophie Hannah, called The Monogram Murders. The modern phenomenon of the “continuation novel” is familiar territory and all too often the product is inferior to the original. At best these books are an intriguing afterthought for completist collectors, such as the Bond novels by authors as diverse as Sebastian Faulks, Jeffrey Deaver and Kingsley Amis. Some are downright dreadful. The billing of this new novel by Sophie Hannah indicates that this is the first of a new series. Let us hope that they are good. Of course, Trollope himself, has been the subject of a continuation novel. Fans of the political novels can now read the further exploits of Phineas Finn in Phineas At Bay, written by John Wirenius, which is now in a second, slightly revised/corrected edition.